"The principal opposition party showed only lip sympathy for the measure and grudgingly supported it while poking holes in the same," Jaitley said in a Facebook post. 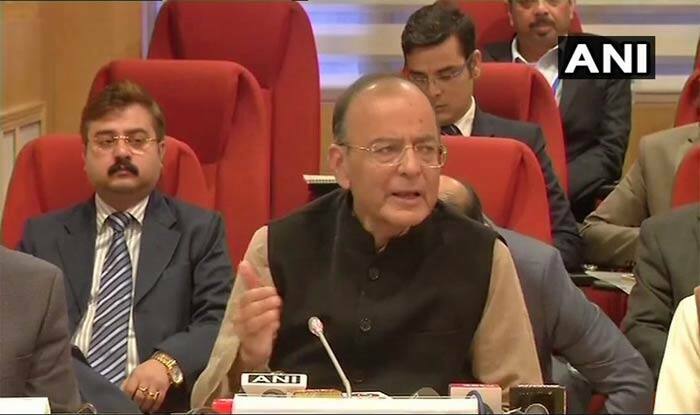 New Delhi: Coming down heavily upon the Congress, Finance Minister Arun Jaitley on Friday accused the grand old party of only showing “lip sympathy” for the quota bill which provides 10 per cent reservation to economically backward upper castes. Further, the Bharatiya Janata Party (BJP) leader hailed the Prime Minister Narendra Modi’s decision to force the agenda for poverty-based reservation as the single greatest pro-poor step. “The Prime Minister’s decision to force an agenda for poverty-based reservation is the single greatest recognition/concern for poor across the general categories and the need to eliminate poverty. “The principal opposition party showed only lip sympathy for the measure and grudgingly supported it while poking holes in the same,” Jaitley said in a Facebook post. The Minister said poverty as a criterion for the 10 per cent reservation would neither contravene the basic structure of the Constitution nor would it be restricted by the 50 per cent reservation cap placed by the Supreme Court. “Poverty, however, is a secular criterion. It cuts across communities and religions. Poverty as a criterion for a carve-out does not in any way contravene the basic structure of the Constitution… It is an aid to the interpretation of what constitutes the basic structure,” he said. Listing the pro-poor and pro-middle class measures taken by the Modi government, he said the method for economically empowering the poor was to improve their purchasing power, which, he claimed, his government has achieved. “This is the first five-year tenure of a government where India has consistently remained the fastest growing economy in the world. This indeed helps every Indian – the poor, the neo-middle class, the middle class and, of course, the large business community,” he said. Jaitley said the government is building about 50 lakh houses per annum in rural India and that every poor family will have a house by 2022. Most Indian villages have been connected by a pucca road and each village has been electrified. The Bill has fixed an annual income of less than Rs 8 lakh and not owning more than five acres of agricultural land as criteria for defining an economically weaker section in the general category for availing of the reservation in educational institutions as well as government jobs. It does not provide for quota for those owning a flat of 1000 square feet or more, land of 100 sq yards in notified municipality area and 200 yards in the non-notified area.